Members of the Church of Jesus Christ of Latter-day Saints have a life-long commission to serve others and help them grow closer to the Lord, Jesus Christ. This mandate is woven into our daily patterns of life. In addition, some may have the privilege to serve a full-time mission as circumstances permit. 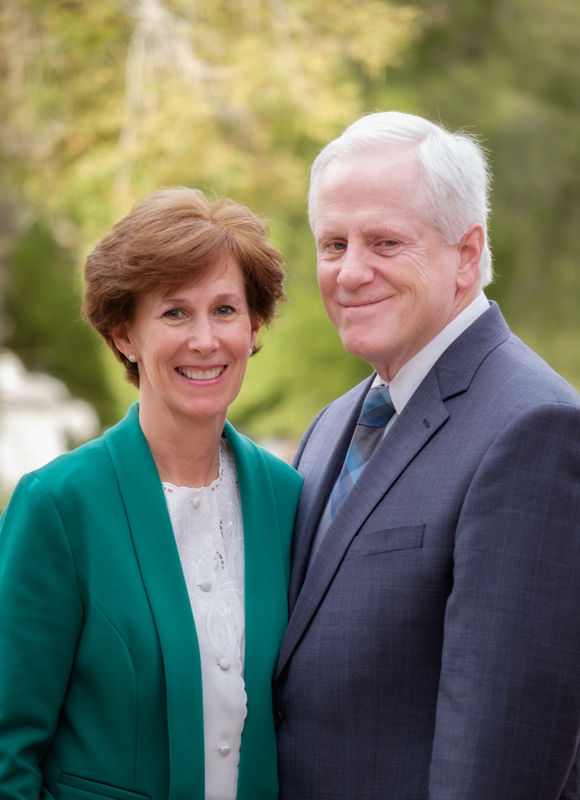 Michelle and I are very grateful for our calling, from modern-day prophets, to serve an 18 month, full-time mission for the Lord in the Pennsylvania Philadelphia Mission (Spanish-speaking). We thank the Lord, family members and friends for their support as we begin this blessed phase of life. We have been asked to share a message, as we depart on our mission, by speaking in our sacrament meeting at 1 p.m. on Sunday January 22nd at 7401 Smoke Ranch Road in Las Vegas. All are invited to attend. Congratulations on your mission call! The people in Pennsylvania Philadelphia mission field are lucky to have such amazing people serving them in this capacity. I wish you all the best in this new endeavor, and thank you for the wonderful examples you have been in my life, and for the loving kindness you have always shown me and my family. God bless you. God Bless you as you serve the Schvaneveldt family loves you. Soooo wonderful! We’re so excited for you AND for all of the people in Pennsylvania who will get to meet you! We love you! Thank you for sharing your gifts and talents and love with so many of us! This is so wonderful!!! You both will be amazing missionaries!!!!! Love to you both!!! Congratulations to you both, Pennsylvania will be blessed to have you serve with them. Much love to you! Oh Kevin, Michelle! We have ward conference that day and I especially will be out visiting families in conjunction with that! I so want to be there and support you two and your families! Your lives will only get busier, but can we squeeze into a little crevasse of that time for visit and maybe a meal? Love you two! Kevin and Michelle congrats on your calling to serve a mission. The people of Pennsylvania will be so blessed to have both of you. Your sweet spirits and wonderful personalities, your knowledge and love for everyone will benefit all hose you will come in contact with. We sure love you both. Dear Michelle and Kevin, we will enjoy learning of your experiences from your mission. We are very happy for the sweet folks in Pennsylvania who will be blessed by your unconditional love, your kindness, testimony and love for the Savior. You are SO loved! Congratulations our dear friends! April and I are so very excited for the two of you to go forth and share the love of the Gospel and of our dear Savior that is so deeply woven into the very fibers of your beings. We look forward to periodic updates from you throughout your mission. My retirement is still planned for late this year, afterwhich we will be preparing to go and do likewise. Les aprecio mucho. De que harán un gran trabajo entre mi jente hispana. El Señor les bendiga en su misión son muy apreciados yvqueridos por nosotros los hispanos. Congratulations! You both are a blessing to each of us and will now be a precious light to those lucky saints -and saints-to-be in Pennsylvania. How wonderful. Thank you for saving my eye and watching over me all of these years. Thank god we crossed paths and the outcome was awesome. I hope you guys have a great time and tons of fun. Thank you so much !